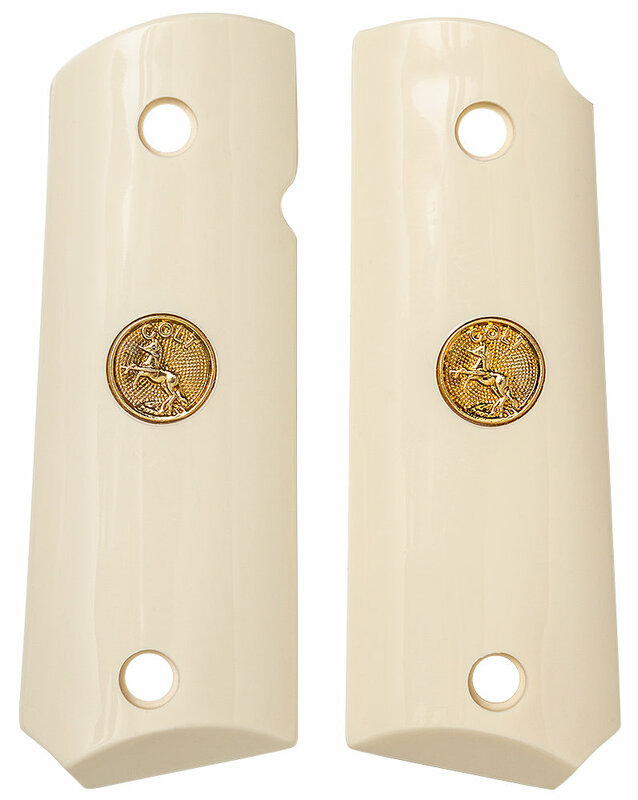 1911 Compact Sized Ivory Polymer with Gold Colt Medallion. Fits all Compact Models of the 1911 Semi Autos. Colt Officers APC, Defender, ETC. I.E., Springfield Micro 1911, Most 3” slide variations.